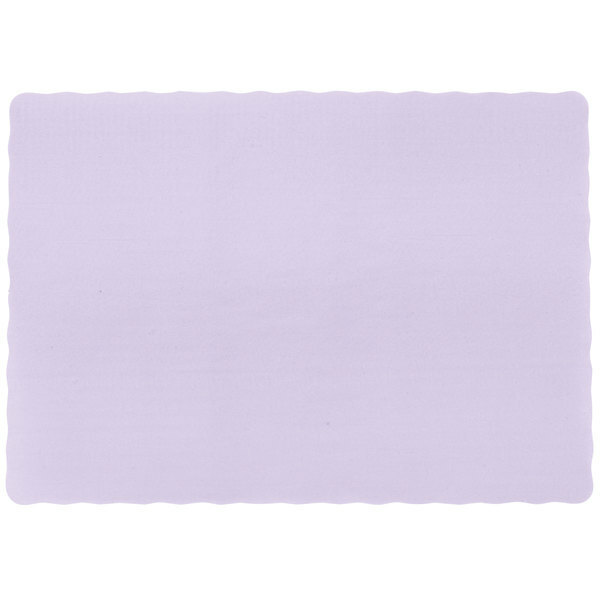 Create a clean and stylish dining environment for your patrons with this 10" x 14" lavender colored paper placemat with scalloped edge. Not only will it add a splash of color to your dining area, it will also create a sanitary, individual surface for your guests to enjoy a meal on. Plus, it can easily be laid on tables or a bar. These placemats were a nice touch to our decorations for a women’s conference. 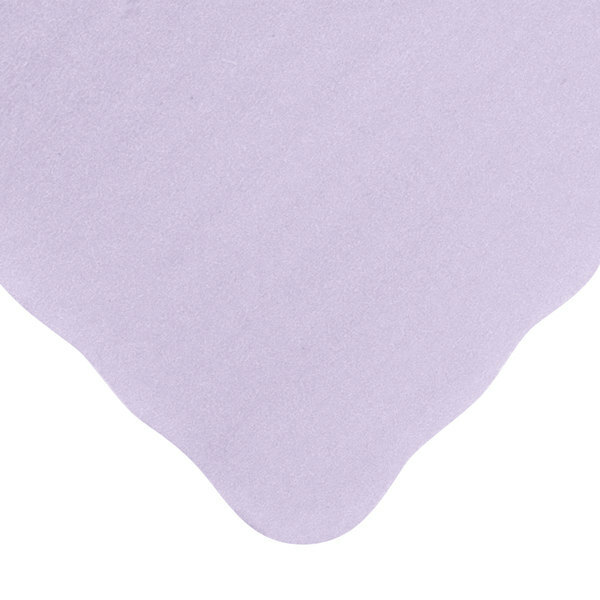 However, the color shown is brighter than what we received. We were unhappy with the faded color. I love all the colors that you have to offer and the different picture for especially events that I do. The price is very good. Great prices and great quality. The selection of colors is great. I can always find colors to go along with the seasons. Always receive product within a few days. 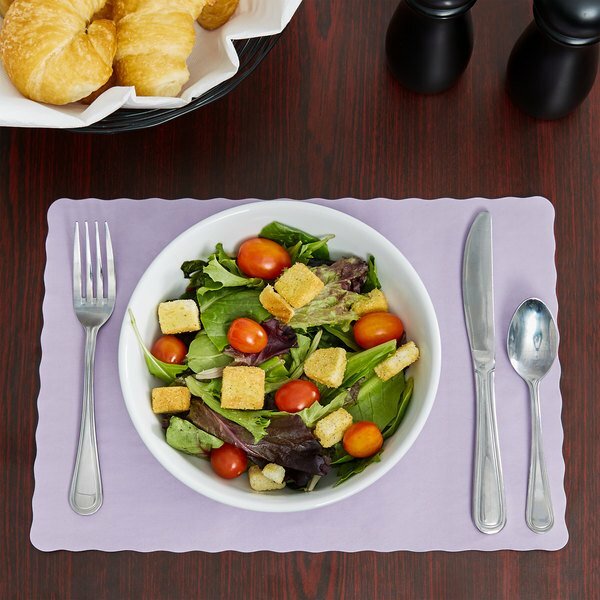 These placemats are the nicest color and are going to work great for my upcoming party. They are a little thin but overall I they work good for me.